Here's the last set of Pokémon drawings from yesterday, and one I did today following an enthusiastic comment from the last post. 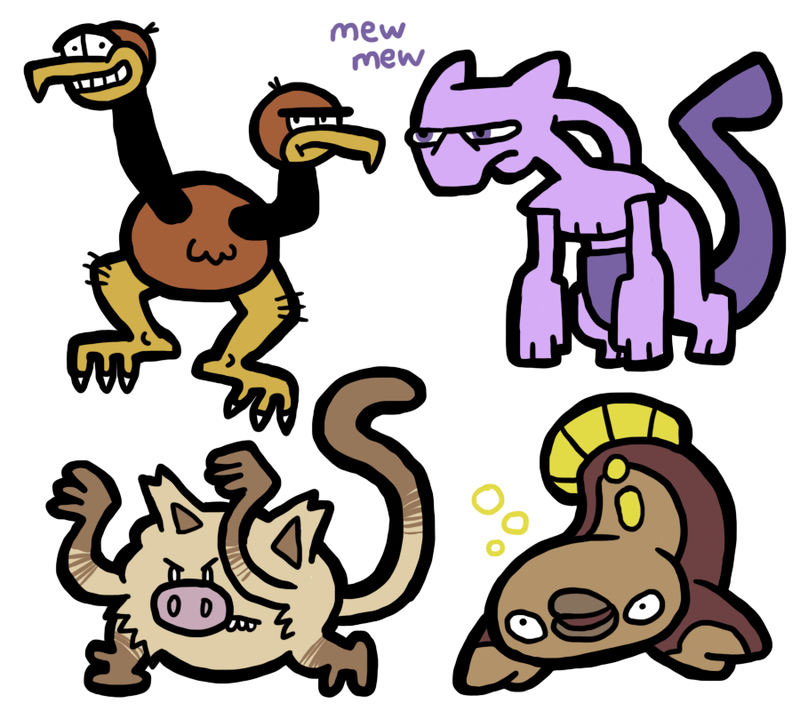 It includes Doduo, Mewtwo, Mankey, and Stunfisk. Thanks for Derpfishing it up.